Imaginative reading comprehension worksheet that makes reading (and writing) FUN. It is possible to use this ws as a starting point for conversation or discussion as well. Teacher Notes included. B/W version included. 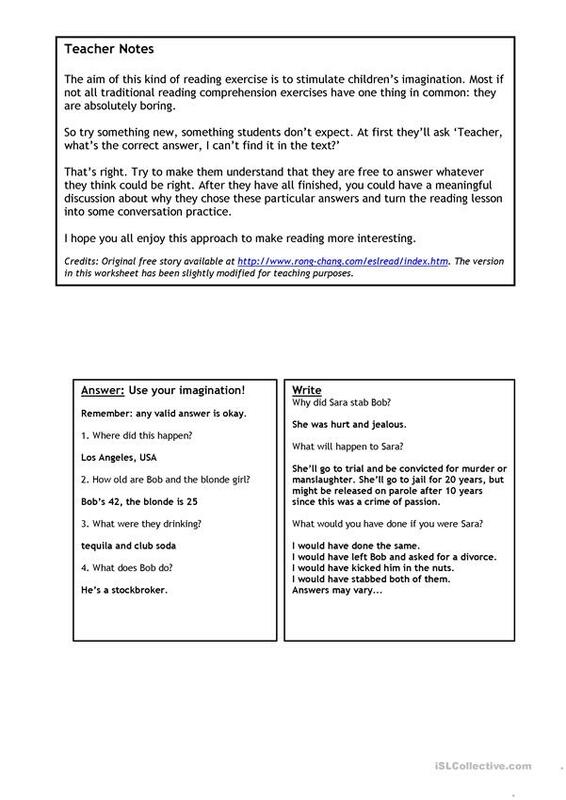 This downloadable handout is best suited for high school students, elementary school students and adults at Elementary (A1), Pre-intermediate (A2) and Intermediate (B1) level. It is aimed at teaching Questions in English, and can be used for working on your pupils' Speaking, Reading and Writing skills. It includes a key, too.